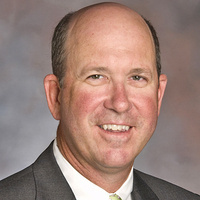 Terry Leadership Speaker Series: John M. Turner, Jr.
John Turner, President and CEO of Regions Financial Corporation, joined Regions in 2011 as president of the South Region, leading banking operations in Alabama, Mississippi, South Louisiana and the Florida Panhandle. In December 2017, he was named president, and in July 2018, Turner became the chief executive officer and was appointed to Regions’ board of directors. Turner earned his bachelor’s degree in economics from the University of Georgia in 1989. He serves on the Public Affairs Research Council of Alabama, A Plus Education Foundation and Infirmary Health System boards. Turner is a former chairman of the Mobile Area Chamber of Commerce, the Mobile Area Education Foundation and the United Way of Southwest Alabama. He is a graduate of Leadership Alabama and a former board member of Leadership Mobile.